In a previous article we showed you how to perform a clean install of Windows Server 2012 R2 on a WD Sentinel DS6100. In another article, we also showed you how to install the Western Digital components to bring a WD Sentinel DS6100 with a clean install back to its original factory functionality. Performing a clean install of Windows Server 2016 is a very similar process with a few oddities. We'll going to run through the process in this article. Before we start. Please note that performing a clean install of Windows on your WD Sentinel DS6100 is not something supported by Western Digital. You do this at your own risk. If you have any data on your DS6100 you want to keep, make sure you back it up. Clean installing an operating system includes wiping your hard drives. We also highly recommend backing up the recovery image in the recovery partition of the DS6100. We have written a guide on how to do this here. A copy of Windows Server 2016 install media. 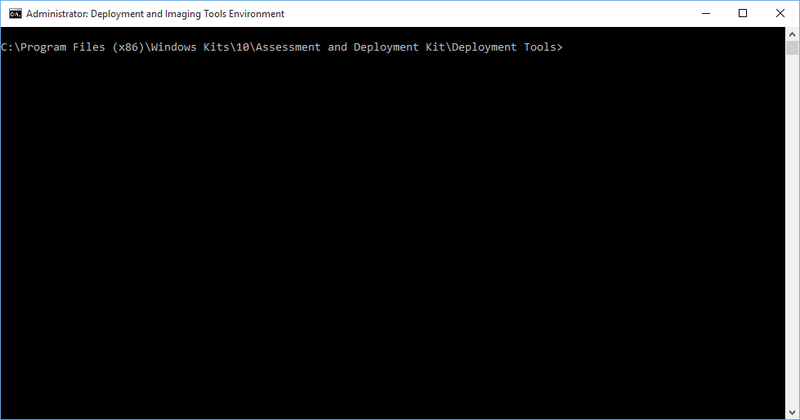 The latest Windows Assessment and Deployment Kit (ADK). The current version is 1607. The latest WD Sentinel firmware/software. The current version is 2.2.10.18. 2 USB drives. 1x 8GB and 1x 2GB or bigger. The WD Sentinel uses a RAID controller which Windows Server 2016 and Windows PE does not have the driver for. In order for Windows Server 2016 and Windows PE to see the boot drives in your WD Sentinel, you'll need to inject a RAID controller driver into their respective images. You can find these drivers in the WD Sentinel firmware/software package you download from the WD support site. The drivers are located in a .cab file called mvsdrv.cab packaged in sentinel_firmware_2_2_10_18.zip. One of the quirks with installing Windows Server 2016 on a WD Sentinel DS6100 from a USB is that you'll need two of them. The first USB will be a FAT32 formatted boot disk because the WD Sentinel can't boot off NTFS. The second USB will be a NTFS formatted Windows Server 2016 installer because one of the files on the install media exceeds the 4GB file size limit of FAT32. To make the FAT32 boot disk, follow this guide we've written earlier for the WD Sentinel DS6100 with some exceptions. Use the latest Windows ADK and the drivers obtained in the previous section. There are two parts to this bit. First we need to inject the RAID driver from the previous section into the Windows Server 2016 installation media. Then we need to put that installation media on a USB stick. Copy the Windows Server 2016 installation media to a local working directory. We're going to assume you have place this in C:\WorkingDir\Win2016. We are also going to assume a copy of the RAID drivers have been extracted to C:\WorkingDir\mvsdrv and that an empty folder C:\WorkindDir\mount also exists. Since there are 4 images in total on a Windows Server 2016 install media, repeat the steps for each of the other images (Index:2-4). Below is a list of what index is which image. Once the RAID drivers have been injected into the Windows Server 2016 install media, you can simply just copy the installation files to a NTFS formatted USB. If you want to make the USB bootable so you can use it with other computers, we have written another guide on how to do that here. After you have made your Windows PE bootable USB and Windows Server 2016 installation media for the WD Sentinel, plug the Windows PE bootable USB into one of the USB ports on the back of your WD Sentinel and turn it on while pressing and holding the recovery button. Once Windows PE has loaded, plug the Windows Server 2016 installation media you created and run setup.exe. To work out what drive letter the Windows Server 2016 install is on, run the diskpart command and then type list volume. Type exit to quit diskpart. The WD Sentinel DS6100 out of the box comes with Widows Server 2012 R2 Essentials preinstalled along with components from Western Digital that make features such as the LCD and fan work. These components will need to be reinstalled after a clean install of Windows and can be found in the sentinel_firmware_2_2_10_18.zip file mentioned earlier. Before installing the WD components, you'll need to install the Windows Server Essentials Experience role which is required to make the WD components work. 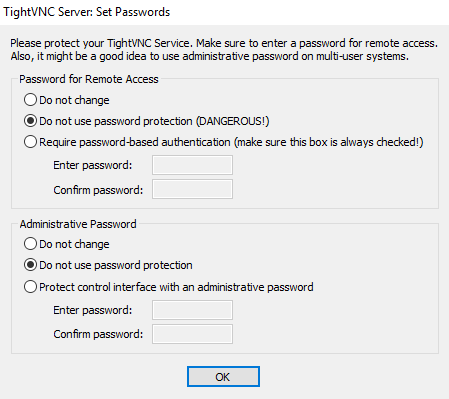 We wrote an article on how to do this for Windows Server 2012 R2 which you can reference for Windows Server 2016. After installing the Windows Server Essentials Experience role but before configuring the Windows Server Essentials Experience, install the following WD components from the zip file. Note: This one was added for firmware 2.2.10.18. After successfully performing a clean install of Windows Server 2016 and the WD components, you may notice that not everything is working. Since installing Windows Server 2016 is not something that Western Digital officially supports, there may not be solutions to these problems. We've listed some of these problems here. Unlike the Windows Server 2012 R2 process for performing a clean install, the fan will spin at maximum speed until the WD components are installed and the Windows Server Essentials Experience is configured. If you install WDBranding.msi, the Windows Server Essentials Dashboard says Windows Server 2012 instead of just Windows Server. You can resolve this by uninstalling that component. We have found that the WD Tray (WDSUSetup.exe) may need to be reinstalled after configuring the Windows Server Essentials Experience to get it working. WD SOFTWARE UPDATE FAILED appears on the LCD screen and you'll also find that you are unable to check for firmware updates. We are unsure why this happens even with the latest firmware but suspect is has something to do with WD Product Configuration service failing to start. Currently no known workaround. Below is a quick reference guide to setting up a NAT (Network Address Translation) virtual switch in Hyper-V using PowerShell. This only works on the later builds of Windows 10 and Windows Server 2016. A NAT virtual switch can be useful if you are setting up a virtual lab for example. In our example, we'll be setting a virtual switch and NAT rule called Unit35.co on subnet 192.168.35.0/24. 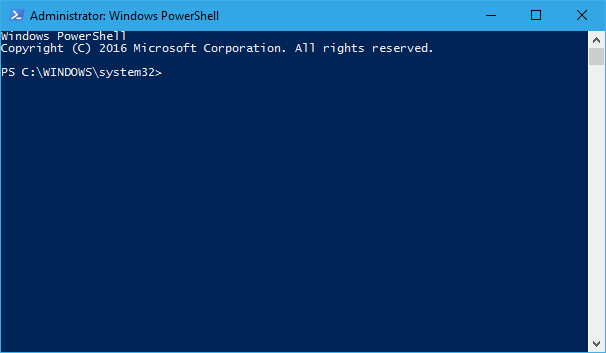 Start PowerShell as an administrator on your Hyper-V host a create an internal virtual switch with the following command. Next, define the internal subnet that we are going to be using for NAT. Finally assign an IP address from the internal subnet that we just defined to be our gateway to the virtual switch we created earlier. New-NetIPAddress -IPAddress 192.168.35.1 -PrefixLength 24 -InterfaceAlias "vEthernet (Unit35.co)"
Note: There are a few things that you'll need to be aware of when NAT is set up. Current builds of Windows 10 and Windows Server 2016 appear to only allow you to have one NAT network. The other thing to note is that NAT switches do not provide DHCP or DNS services to your NAT network. You'll need to setup a virtual machine on that network for those services. In a previous article, we showed you how to delete a user profile in Windows using the graphical user interface. In this article, we are going to do it with PowerShell. Log on to the computer with the user profile you want to delete and run PowerShell as an administrator. The user profile you want to delete cannot be logged on to at the same time. Run the following command with the user profile you want to delete. For a list of user profiles, see C:\Users. Recently I found myself needing to boot into the Firmware/BIOS of my WD Sentinel DS6100 to check the boot order of my drives. I've been attempting to install Windows Server 2016 on it when it kept failing to boot into the operating system after installation. For the WD Sentinel DS6100, to boot into the Firmware/BIOS simply press the "Delete" key while turning on the device. Hope that's helpful to someone. 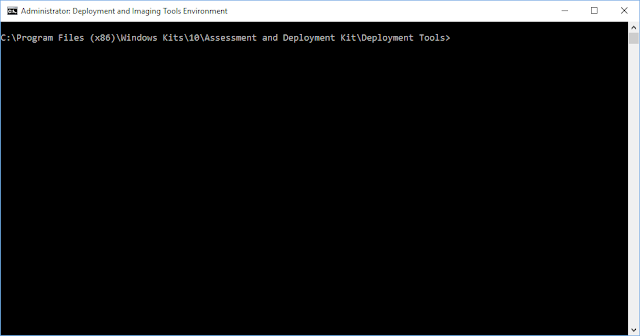 The Microsoft Deployment Toolkit (MDT) is a free tool that can be downloaded from Microsoft to assist you with Operating System Deployment (OSD) and is often used in conjunction with Windows Deployment Services (WDS) and System Center Configuration Manager (SCCM). It can also be used on its own. It this article we'll be looking at using MDT with WDS. Get started by downloading the Microsoft Deployment Toolkit (MDT) from here. 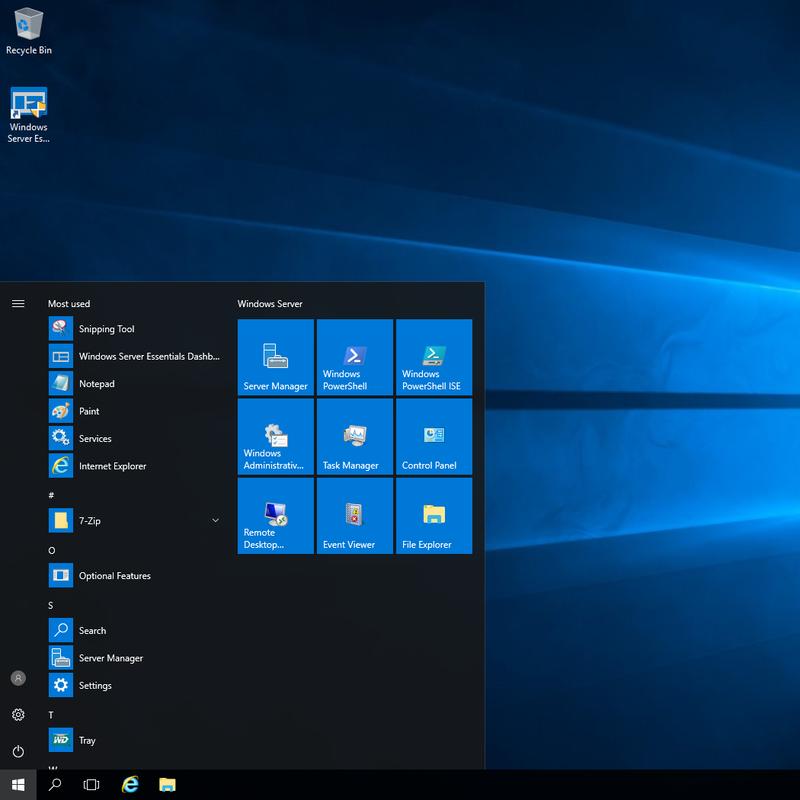 We're using the MDT 2013 Update 2 version in this article. You'll also need to download the Windows Assessment and Deployment Kit (ADK). 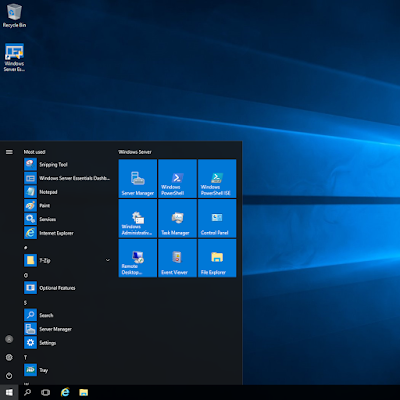 We're using Windows ADK for Windows 10, Version 1511 which you can download here. 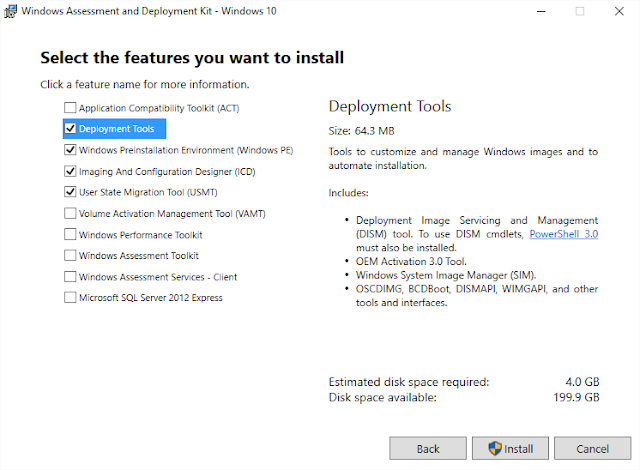 After downloading both of these tools, install MDT and when you go to install Windows ADK, we recommended selecting the following option in the picture below. The deployment share is a network share on your Windows network that hosts all of your deployment resources. 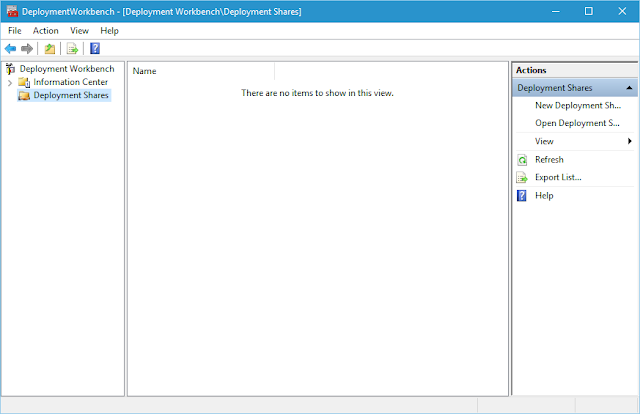 You interact with your deployment share through the MDT Deployment Workbench and you can have multiple deployment shares on your Windows network. 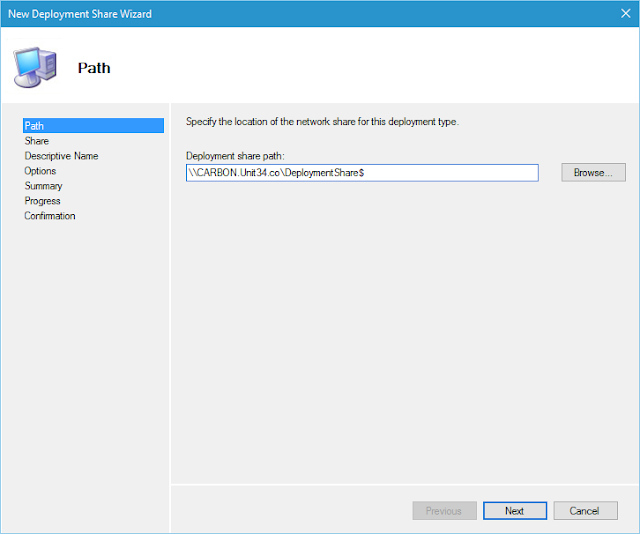 Start by creating an empty network share on your Windows network for example, \\CARBON.Unit34.co\DeploymentShare$. Make sure you have write permission to this share and that anyone you wish to be able to deploy from it has permission to read it. 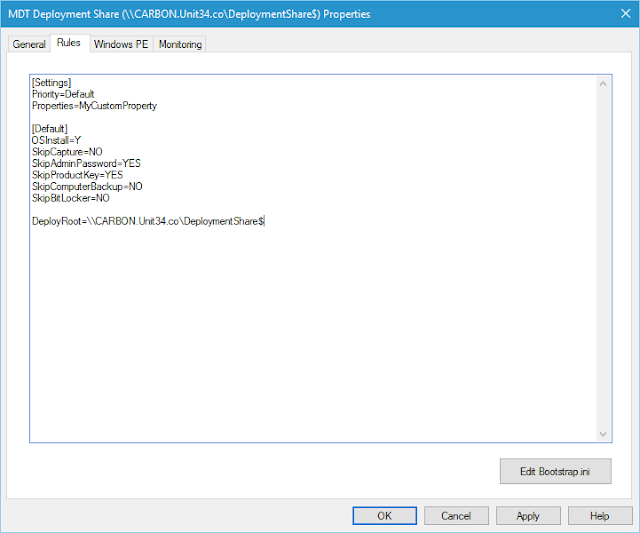 Start the MDT Deployment Workbench and in the left pane, right-click on the Deployment Shares node and select New Deployment Share. The first screen you will be presented with will ask you to specify the path to your deployment share. Replace the default path of C:\DeploymentShare with the path to your network share. When you complete the wizard, MDT will begin populating the network share with some default deployment resources. Before you can start deploying Windows from your deployment share, you need to configure your deployment share by adding deployment resources and creating task sequences. Deployment resources includes things like operating system installers, drivers, applications and Windows updates. Task sequences allow you to specify what happens on a step-by-step basis during an operating system deployment. 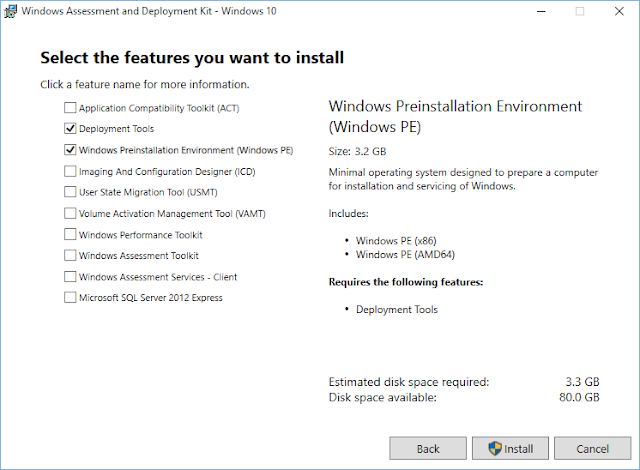 Deployment resources and task sequences are configured and managed through the MDT Deployment Workbench. There is a lot you can configure that we're not going to cover here in this article but the best way to learn is to have a play and explore. One thing we do recommend you configure is the rules for your deployment share which can be accessed by right-clicking on your deployment share in the Deployment Workbench and then selecting Properties and then the Rules tab. We've added the property DeployRoot=\\CARBON.Unit34.co\DeploymentShare$. MDT has a bunch of other properties you can add that you'll have to find and discover. After you have configured your deployment share, the next step is to actually perform a deployment. In the Deployment Workbench, right-click on your deployment share and select Update Deployment Share. Complete the wizard to generate new boot images for your deployment share. One the wizard completes, your boot images will be located in a subdirectory called Boot in your deployment share. For example \\CARBON.Unit34.co\DeploymentShare$\Boot. Select the appropriate boot image from this folder and upload it to your WDS server. If configured correctly, any computer that performs a network boot from your WDS server will now download the MDT boot image. 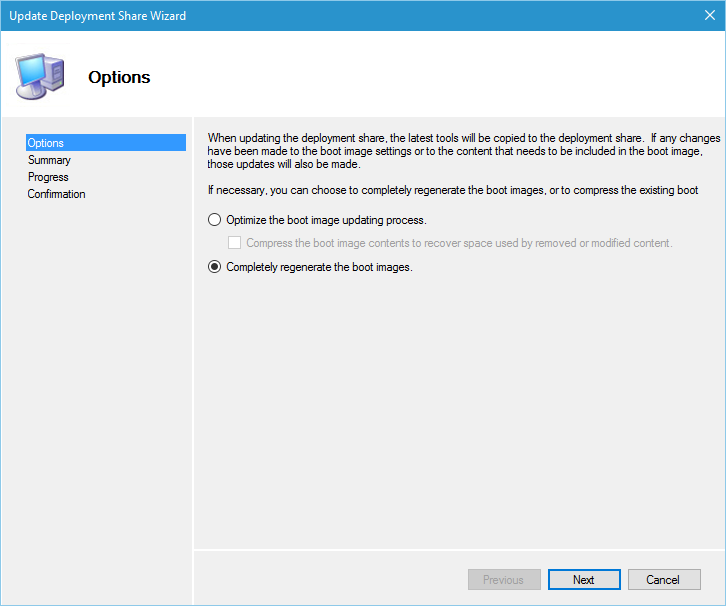 This boot image will then connect to your deployment share allowing you to select which task sequence to run for your deployment.